STUNNING Book Cover Design... Special Created for Self-Publisher Just Like You! Now You Can Make Your Book, Kindle, or eBook Look SHARP & STUNNING With This Time Saving, Done-for-You, and Completely-Editable Cover Design Templates! You’ve heard the expression “Don’t Judge a Book By Its Cover”? 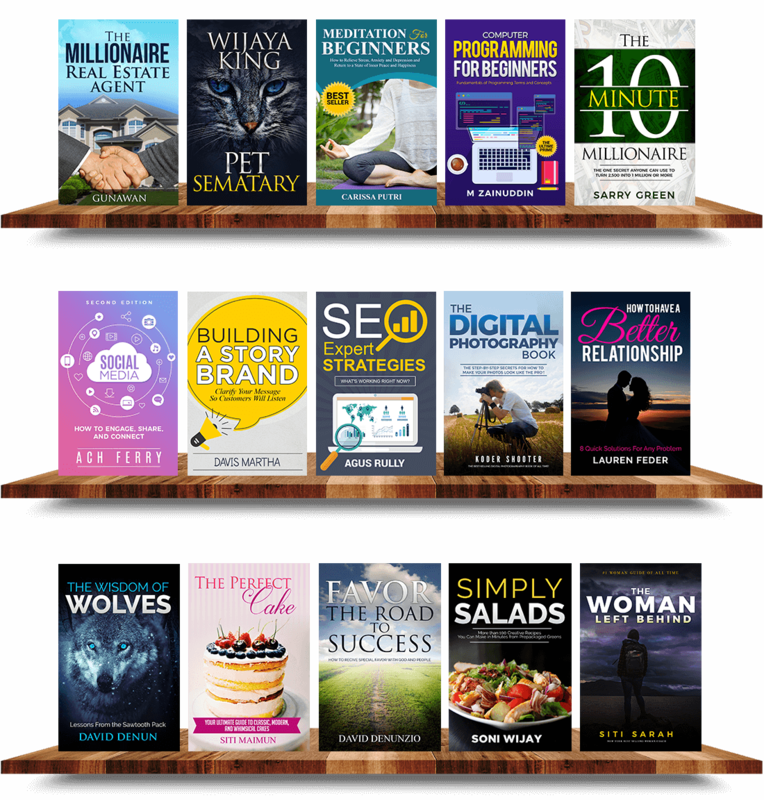 If you selling Book, Kindle, or eBook online… through your own website or marketplace such as Amazon Kindle, the product cover design is the first thing your customer will sees. It’s the MOST important element that can make positive impression at the first glance to your product! And an EXTRAORDINARY cover draws attention and creates anticipation. The visual design is what gives us confidence to buy the book. A poorly designed book cover means YOU lose sales! Try it to look by yourself below…. What’s your “First Impression” from two designs below? which one is your eye drawn to? Most people choose the RIGHT SIDE, right? People look at the cover design to give them an idea of what the book is about. Publishing companies and bestselling authors invest hundreds (even thousands) of dollars into design when they launch a book. Because they know a good design can mean the difference between lots of sales and NONE! Cover design is The ‘MOST IMPORTANT’ thing when you are selling book, ebook, or Kindle to get the BEST conversion! Now here is the problem for most of us…. Not everybody has the CREATIVE ability to create a beautiful cover for their books and products. Do you seriously want to risk losing sales because of poor Cover Designs? and you don’t just want a good cover… you want an eCover design will blow your customers away! After all, top-notch graphics give your prospects the confidence to buy your products. Sounds easy right? Outsourcing your cover design is EXPENSIVE! I mean, who wants to spend $40 – $97 per cover. That’s is just for ONE cover..!! It’s so expensive because designing a premium style of graphics from scratch isn’t as easy as you think. It’s time consuming, costly and if you’re short on creativity… it can be highly frustrating. Do you want to have a gorgeous eCover for your product that's already done-for-you? Are you sick and tired of wasting TIME and CASH on expensive graphic designers? 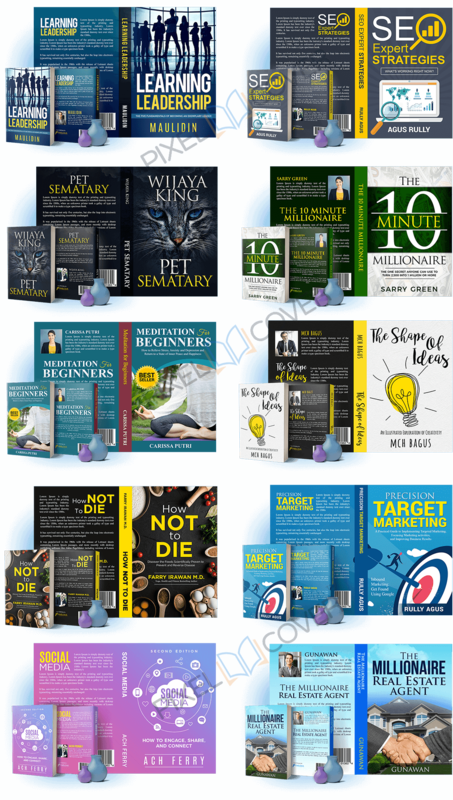 Do you want a MEGA BUNDLE of Stunning and Pro Looking book cover design templates you can edit ON THE FLY? Do you LOVE smashing the competition and doubling conversion numbers for LESS effort? Today we present you a Breakthrough! You need a JAW DROPPING, PROFESSIONAL LOOKING and GORGEOUS eCover for your Product! – And we have solved that problem for you! NO MORE creative design skill experience needed! NO MORE spending hundreds of dollars ! NO MORE waiting for weeks for a designer! To get “PIXEL COVER” you’ll only need to spend a few dollars, and all your designs can be done in minutes! It’s a HUGE budget and time saver for you! You can be as creative as you like with our Top design templates that can be tailored to your business brand. Use the templates as a starting point, and have fun! You’ll receive over 30 stunning “CreateSpace” paper book cover templates that you can easily change the color, image, and text to match your own book. 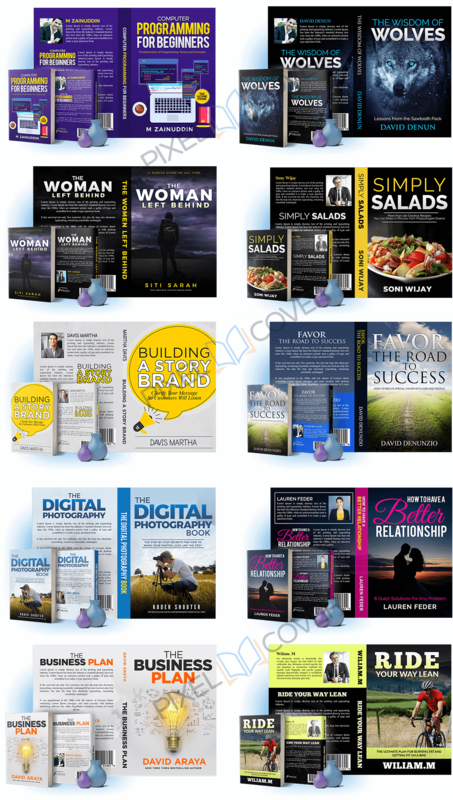 You’ll also receive stunning Kindle/eBook cover templates edition in various niches. All design in PSD format so you can easily change the color, image, and text to match your book. You’ll receive 6 paper book/page marker that you can easily change the color, image, and text to match your paper book cover design. Elegantly designed Roll Up Banner to help you present your product on such as ‘Book Launch’ event. The Roll Up banner mockup included in PSD formats, just click smart object option to place your design and you are ready to present your product. When you have an event such as New Book Launch or Seminar about your book… this Flyer designs will be perfect to help you tell people to come to your event. All Templates Delivered in Photoshop (.PSD) File Format! Now you can edit the files even if you don’t have Photoshop! Along with your purchase, you will get access to a FREE online software that allows you to edit PSD files, and save your edited file as .JPG, .PNG, etc! You don’t have to spend big bucks anymore, or days and weeks to get your cover design done by your designer. With “PixelCover” templates in your back pocket… all the heavy lifting has been done for you! Do you know how much others are charging for a similar design kit? $13 – $22 HOURLY Rate Just for An eCover Design??!! They could charge around $50-$90 per cover! If you’ve got money to burn, that might be a good option, but if you make products on even an occasional basis, $50 per cover can add up quickly. And that’s just for ONE cover!! The worst thing is you do not get the source file!! You’ll need to add another $20 or more to get the source file! So how much you should spend to get 100 covers done by your designer? It could be THOUSANDS of Dollars..!! 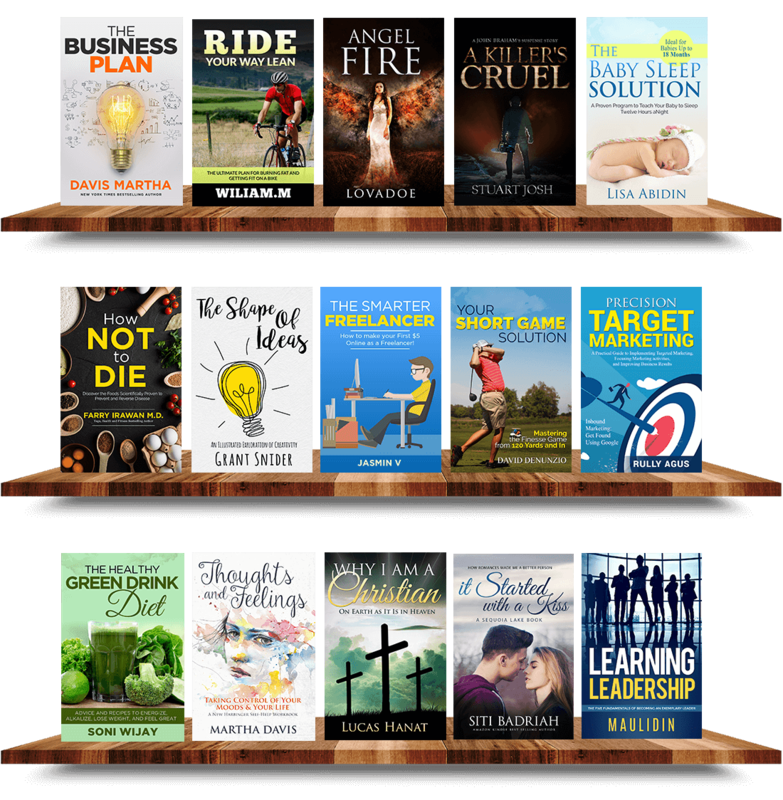 Get Access Now To PixelCover ‘IndieAuthor’ Design Templates, and Make Your Books/Kindle Products Look Stunning for an Unbelievable 70% Discount! You Need To HURRY – It’s Dimesale! Price Goes Up to $37… Rising Up Every 3 Sales! “This product is not like I expected” Guarantee! There are several CONDITIONS which apply. If the pack isn’t everything we said it is and you have a technical issue that we can’t help you resolve, then just send a support ticket along with your Receipt ID to our Support Desk to ask for refund, and we’ll refund you every penny. *Refund must be done via JVZoo system… NOT Paypal dispute claim!! Unlike other product developers that go HIT-n-RUN with their customers, we make ourselves available to answer your questions and help requests. Q : What’s PixelCover “Indie Author”? A package of Ready-to-Use eCover Design Templates for Kindle, Books, and eBook. 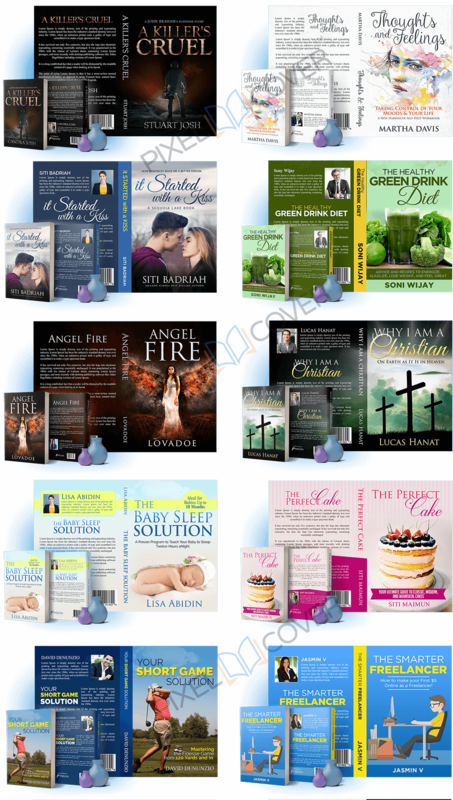 Created using PHOTOSHOP with professional design look, perfect for Self-Publishers who want skyrocket their sales conversion. You required Adobe Photoshop® to work / edit the templates, because all templates are PSD layered source files.Simply open the template inside your Photoshop software, Click and Replace with your own content, and then Save it as JPEG/PNG. You can pass the template to your graphic designer to edit it for you..
Q : Which Version of Photoshop® that Compatible with the Templates? We created the templates using Photoshop CC, but you can still edit the content of the PixelCover’s templates using Photoshop CS2 or higher. If you want to convert the design into 3D eCover… You’ll need Photoshop CS3, CS4, CS5, CS6, and CC. Sure you can open/edit with Photoshop CS2 or below, but some effect and layout will not working perfectly. Q : What if I’ve Limited Ability Using Photoshop®, Can I Still using This Templates? Absolutely..!! If you can open your Photoshop, know how to edit text & image… that’s enough. Because our templates are ready-to-edit, all you have to do is change the title and add/change images, and you’re done. Q : How Do I Download The Product? After payment done, you’ll get email receipt from JVZoo.com contains your Login Access to the JVZoo’s Customer Portal where you’ll find your access to the products you’ve purchased. From there you can access our member area. We’ll also instantly send you email access right after your purchase. For the main offer we provide PERSONAL Use License. Because from the V.1 we know that many people buy PixelCover for their own project. BUT… if you want to use PixelCover templates for Client’s project., we have optional Upgrade for DEVELOPER License in the Upsell. YES – After purchase our Main offer, you can Upgrade your purchase to the PLATINUM version. Where you can double your package with some extra Bonuses included. PLUS… DEVELOPER/COMMERCIAL License for both PixelCover Main product and the PLATINUM version. You should pay attention to our requirements, we DO the refund ONLY IF there is an issue (error, corrupt, etc) with the product and our technical support can’t solve it for you. NOT refund just because “it’s not what I expected” or “it’s not for me” reason. Because ALL information & Display product already mentioned in the sales page. And we’ll provide a refund for you within 7 days of your purchase. “PIXEL COVER” IS AN ORIGINAL PRODUCT CREATED BY PIXELOVA CREATIVE. Inc, A GRAPHIC DESIGN COMPANY BASED IN INDONESIA.